Talking dices is a newest craps dices cheating tricks, maybe you know mercury dice, loaded dice, remote control dice, sensor dice and misc dices cheating gadgets. Here, we would like to introduce the Talking Dice (also can be called as Listening Dice) to you all. 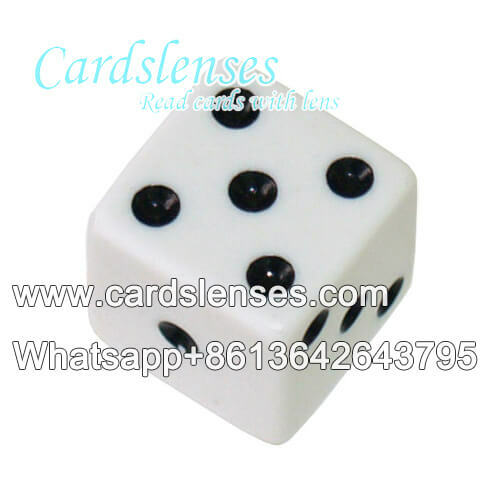 From the exterior design, the Talking Dice just same as a regular dice and no matter check from which side, no one can find its secret. Have you ever used poker analyzer? If yes, you must know that with the analyzer, you can hear the poker game result beforehand in secret, the Talking dices has same operation theory, but different tools. 1. Voice prompt. The dices analyzing software supports various speech patterns, which can report the number of several dices directly, and it can match with all kinds of one to one mini Bluetooth earpiece. 2. The screen prompt. The dices number can be notify by the screen notification mode, which support show many dices number at the same directly. 3. Vibrating prompt. 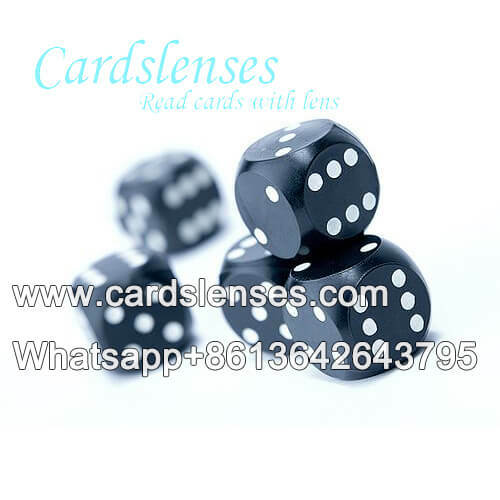 Various kinds of vibrating ways for choice to show the result of the craps dices games. By using this pattern, the software can self-adapt to the size of the dices, very suitable to Tai-Sai or guess the odd-even result of craps. 4. The dice is the rechargeable. Once the dice are out of power, you can recharge it just like you recharge the cell phone. That is, 1 dice can be reused time after time. 5. One-to-One match. The receiver and analyzer software need to be installed in cell phone, the dice you appointed (the quantity of dices is not a problem) only can be worked with the analyzer system you have. It means even others also use the listening dice software; they can't receive any information, only you can. What is more, no need to use another phone; just you own phone, the phone you use now, can do this. 6. Safe and convenient. The system has intelligent control system, very safe and convenient to use. More information, please contact our professional sales.